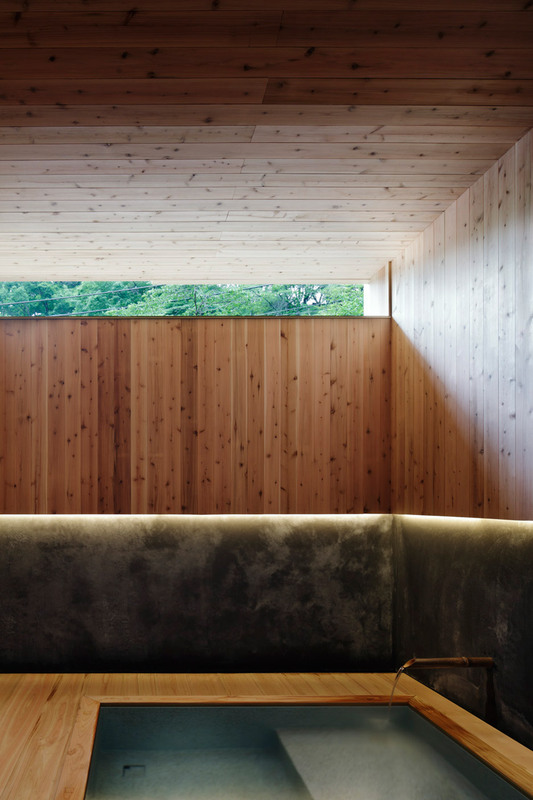 A wooden floor that curves up to turn out to be a wall allows light and air to movement through this bathhouse by Japanese studio Kubo Tsushima Architects. 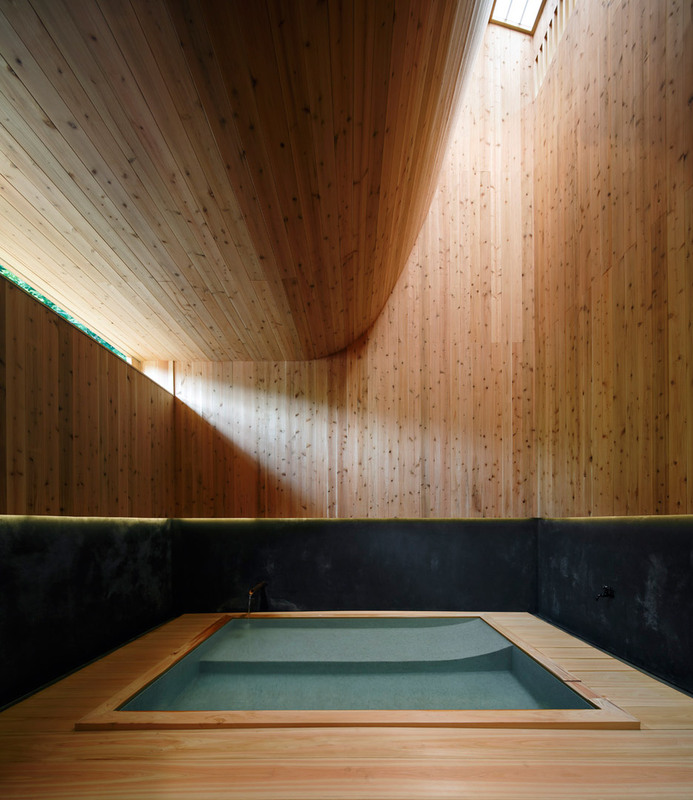 Set within a 17th-century hotel complex in Japan’s Gunma prefecture, Maruhon Ryokan was redesigned by Kubo Tsushima Architects as part of a extended-phrase plan to attract tourists and promote sustainability in the area. From street level, the bathhouse seems to adhere to a classic form comprehensive with a gabled roof. 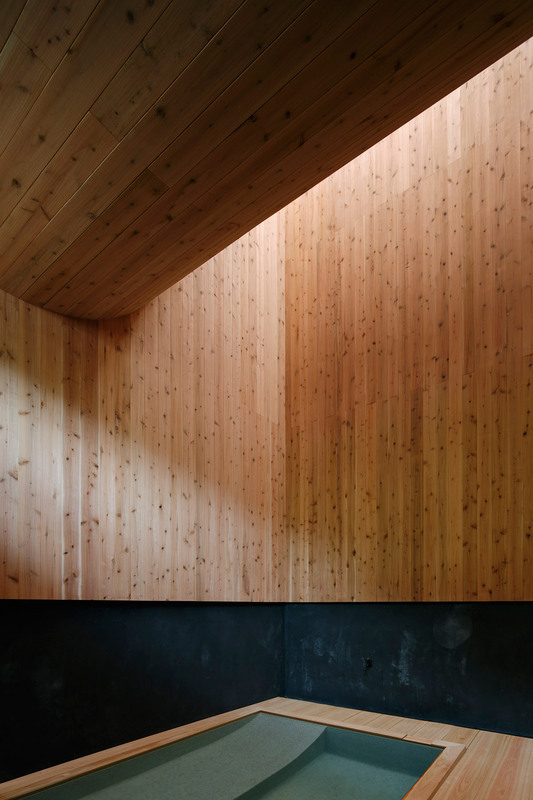 But on the within, a floor constructed from Japanese cedar curves up to produce a wall that separates a bathroom and a designated rest area. Making use of computational fluid dynamics – a variety of mechanics that uses numerical examination and algorithms to resolve and analyse fluid flow – the architects designed the uncommon interior to produce buoyancy-driven ventilation. 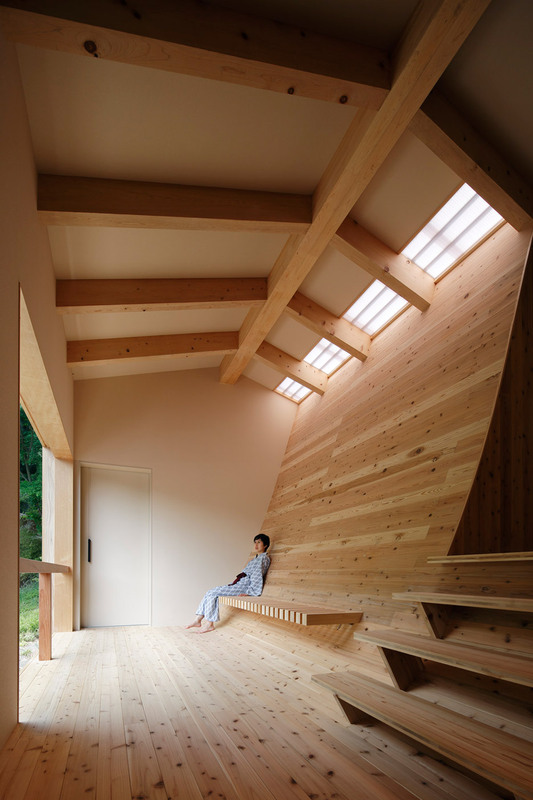 “We applied the behaviour of ventilation to the design so that the all-natural wind from the bathroom window rises when heated by the spring water, and goes out from the roof window,” Kubo explained. The shape of the wall generates a light source, diffusing daylight flooding in by means of the open facade into the reduced-level bathroom. LEDs illuminate the area at night. In the downstairs bathroom, spring water flows from a black bamboo tap into a small pool that is submerged into the floor. Along with supplying the lighting and ventilation for the bathhouse, the curved wall also acts as a backrest for a big bench in the upper-level rest area. Kubo Tsushima Architects previously renovated a wedding chapel in Tokyo’s Ebisu district – painting each and every windowsill in colours of the rainbow to “impart faint hues” as light filters by way of.